KickCharge Creative President and Creative Director Dan Antonelli is a design industry celebrity. His first two books, Logo Design for Small Business and Logo Design for Small Business 2 have been widely acclaimed by his peers in the graphic design and business industries. 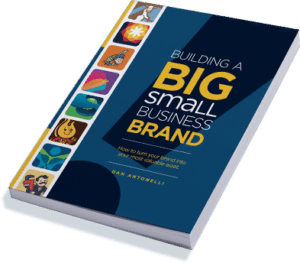 In his latest release, Building a Big Small Business Brand, Dan provides straight talk for small business owners as he sheds light on their biggest asset: their brand. Buy an autographed copy of the book that teaches small businesses how to build an amazing small business brand from the ground up. Read a free preview here. Dan’s latest book is a must-have for small business owners and entrepreneurs struggling to develop their professional identity. Your professional logo serves as a solid foundation for your small business branding: conveying expertise, delivering a brand promise and creating an expectation for quality. In today’s cluttered marketplace, the importance of your small business branding cannot be underestimated—yet most small businesses put little time and money into developing their company’s logo and branding strategy. 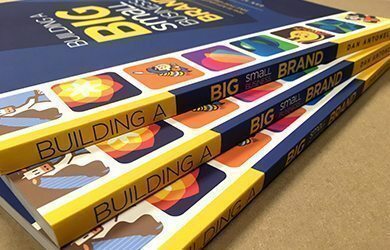 Drawing from his experience of working with nearly 800 small businesses on their branding, you’ll learn the keys to an effective small business branding strategy. Here are a few excerpts from the book reviews on Amazon. As of March 2017, the book has received 57 5-Star reviews. This full-color book is available for purchase through our website, or at Amazon.com. Logo Design for Small Business 2 features over 175 actual small business logo samples and detailed explanations. 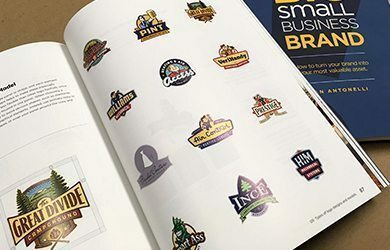 Like the first, Dan’s second book focuses on logos for small businesses, providing tips and theory on logo design, development, color usage and layout. It also offers detail about the distinguishing characteristics of small business logo design, and how it differs from corporate logo design. This full-color book is available for purchase through our web site for $25, plus $4.05 Priority Mail shipping & handling. You may also call us directly to order via credit card. Read more about Logo Design for Small Business 2. In Logo Design for Small Business 2, Dan Antonelli takes a closer look at the gratifying work of creating powerful, creative logo designs for small businesses. Dan shares his approach and delivers a look at the thinking behind over 175 hard-working logos created by himself and other outstanding designers, including Mike Erikson, Jeff Fisher and Rich Dombey. Dan’s first book on logo design, Logo Design For Small Business, features over 100 of his designs created at KickCharge Creative. 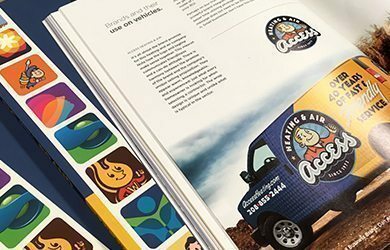 The book focuses on logos for small business, with tips and theory on logo design, development, color usage and layout. There are also tips about for artists about logo sales. This full-color, 72-page book is available for purchase through our web site for $25, plus $4.05 Priority Mail shipping & handling. You may also call us directly to order via credit card. Read more about Logo Design for Small Business. You may also buy unsigned copies of the books at SignCraft Publishing for $25 (1-800-204-0204) or at Amazon.com.